One of the things I plan to do more of this year is cooking with Little Dude. He's always had an interest in cooking, and is forever helping me break eggs or picking out spices for me to add. He also loves to pretend to cook with water and whatever else he can find and reach in the kitchen! 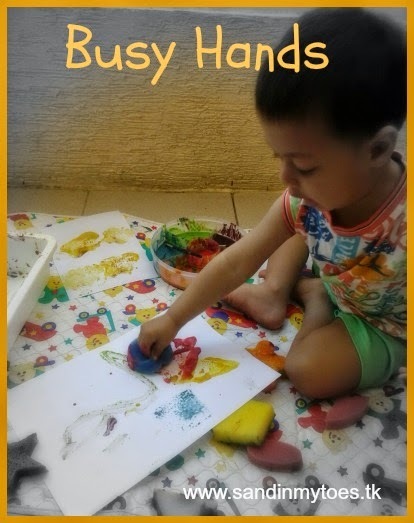 Hopefully, the Busy Hands series will expand to include recipes suitable for toddlers and little children. 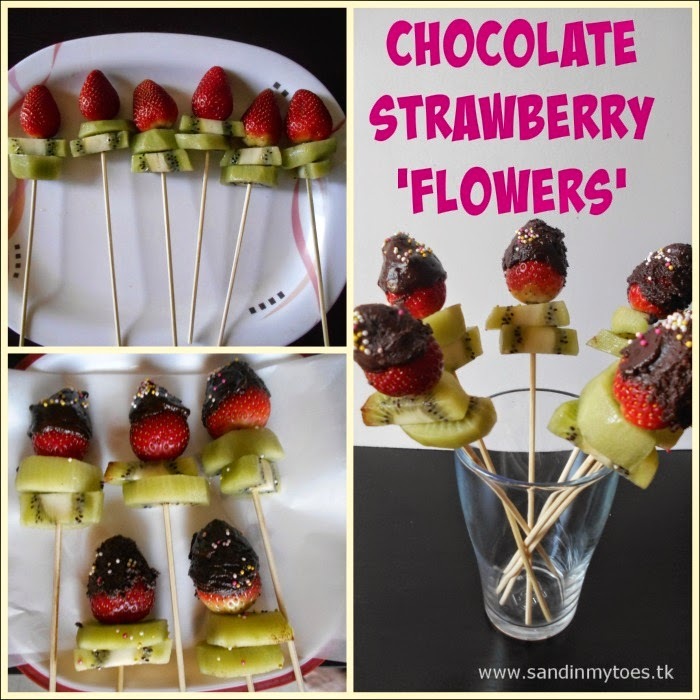 These Chocolate Strawberry 'Flowers' we made are an easy and yummy treat to make for a kids' party, or as a gift for Valentine's Day, Mother's Day, or any special occasion. 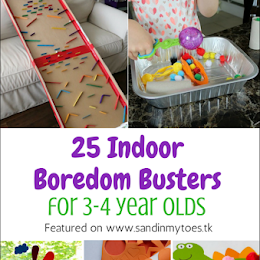 It could also be a fun playdate activity for toddlers, since there isn't much actual cooking involved! 1. Chop up the dark chocolate and melt in a double boiler, or over simmering water with another bowl on top that's not touching the water. 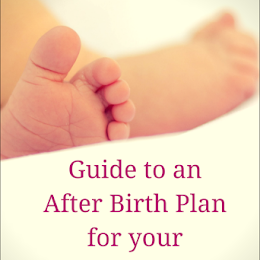 You can also do it in the microwave on medium low for a few seconds a time, stirring in between. The chocolate should be completely melted and glossy. Make sure there are no lumps left. 2. Wash and dry the strawberries beforehand, giving them enough time to dry. Remove stems and leaves. 3. For the 'leaves', cut up the kiwis in round slices and cut in half. 4. 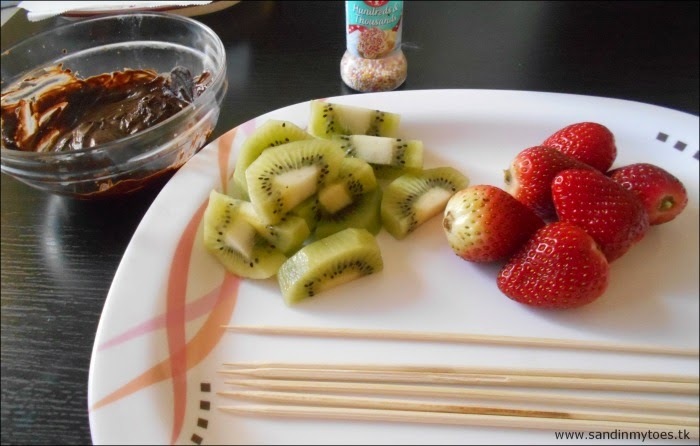 Insert the skewer carefully in each strawberry, and then add two slices of the kiwis. Little Dude needed help at first, but then he mastered it! 5. Dip the strawberry in the melted chocolate (taking care not to touch the hot bowl or chocolate), and roll slowly until the strawberry is covered at least two-thirds. 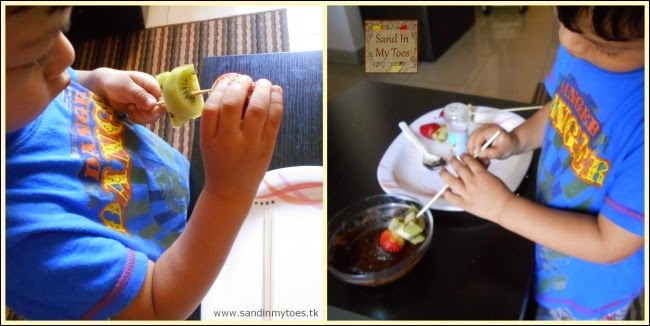 The dipping part can be a bit tricky, but if you aren't worried about the finish, it's quite fun for kids to do! 6. Add the sprinkles on the strawberries. 7. Place the strawberries on wax paper in a plate and let cool in the fridge before serving. - As the chocolate cools, it will solidify and become difficult to coat on the strawberry. You may have to reheat it then. - The strawberries should be completely dry or the chocolate won't stick well. - Supervise your child with the skewer and take care that they don't touch the hot chocolate. Our 'flowers' didn't all turn out nicely done, but they tasted great, and Little Dude loved having made something on his own. 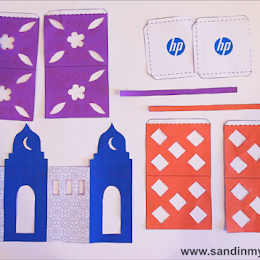 You can also pack each individually in cellophane to make little gifts, or you can make a bouquet with a few of them. They look yummy and good fun to make! 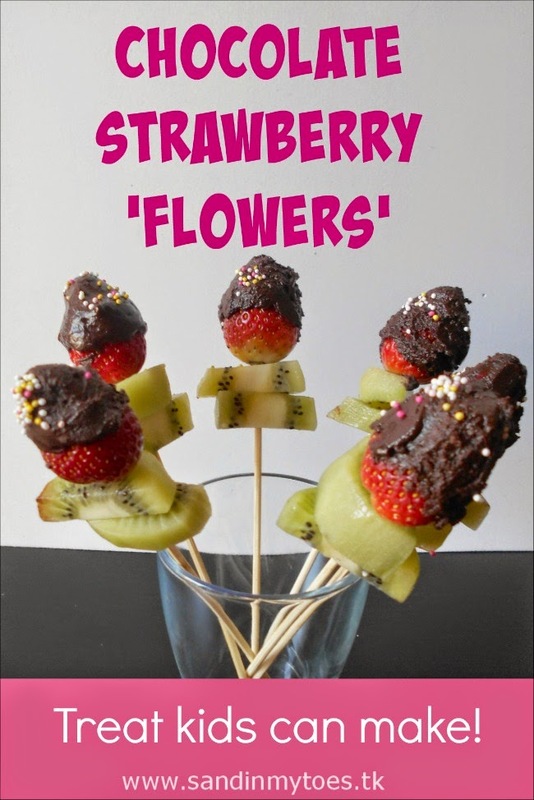 My son in particular would love these as it combines his favourite fruits with glorious chocolate! My son loves both things too! Yumm I think z would love these. As would I! I love chocolate covered strawberries. Lucas says - Yum! Yum! Get in my tum - these looks very scrummy. I love strawberries too so these are perfect for me.